Democratic presidential candidate Sen. Kamala Harris delivered a “prebuttal” to President Donald Trump’s State of the Union address Tuesday. She called Trump out for “insincere appeals to unity” before his address started. Some on the left criticized Harris for distracting from the official Democratic response to the State of the Union. Democratic presidential candidate Sen. Kamala Harris called out President Donald Trump for “insincere appeals to unity” before his State of the Union address started Tuesday evening. Harris livestreamed her speech on Facebook about an hour before Trump’s address. She’s one of at least nine Democratic candidates hoping to face Trump in the 2020 election, according to Ballotpedia. Others didn’t hold back in criticizing Harris. This is bad. I don’t like Bernie doing this after the SOTU (even though I know he’s done it twice before) and I don’t like this from Kamala Harris. 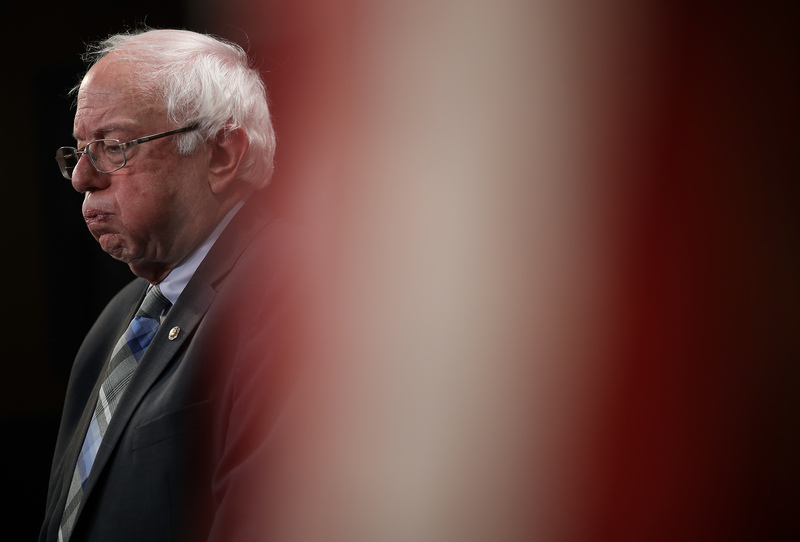 Sanders is expected to run for president in 2020 as well. Harris hit Trump on the economy and the border wall during her speech Tuesday. “When you hear claims that the economy doing great, don’t forget the working and middle class families who are struggling, teachers who are working two and three jobs, and the 800,000 federal workers who recently went 35 days without getting paid — all while this admin gives away $3 trillion to big corporations in the top 1 percent,” Harris said. “When you hear claims that our problems would all be solved if we just built a wall on our southern border, don’t forget babies ripped form their parents’ arms,” she added, taking a jab at Trump who’s expected to focus on funding a wall during his address. 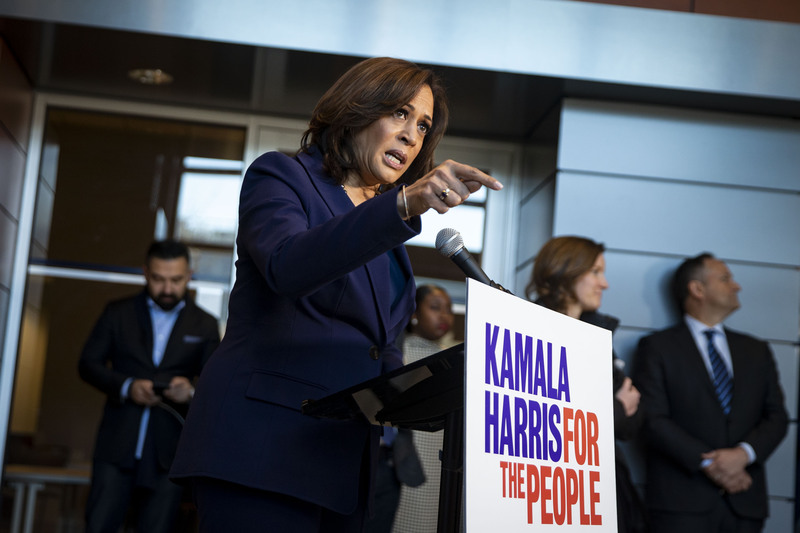 Harris’s prebuttal brought the number of State of the Union responses from the left to four: Harris, Abrams, Sanders and California Attorney General Xavier Becerra, who is delivering a Spanish-language rebuttal. Trump said Thursday he hopes Abrams does a “good job” with the Democrats’ response to his State of the Union address. Harris announced that a California air traffic controller affected by the partial government shutdown was her State of the Union guest Friday. “I’m thrilled to announce Trisha Pesiri-Dybvik as my guest to this year’s State of the Union. Trisha [and] her husband both went without a paycheck during the shutdown while rebuilding their home after losing it in a wildfire. America needs to hear their story,” Harris wrote on Twitter. Harris tweeted about her excitement for Abrams’s rebuttal on Jan. 29. “Congratulations to my friend Stacey Abrams! There’s no better person to showcase our country’s strengths and speak the truth after the State of the Union,” Harris wrote. Harris had also praised Becerra ahead of his speech.